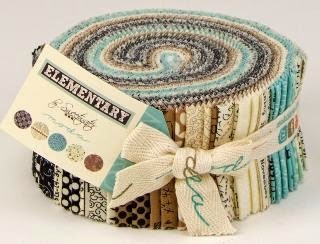 the Fat Quarter Shop has created another jelly roll pattern. 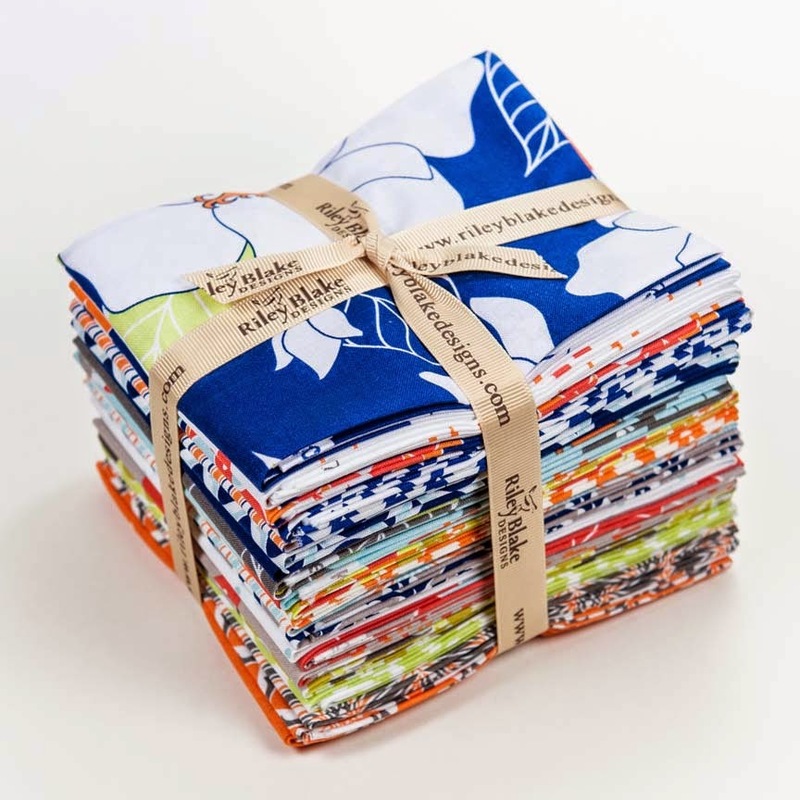 I think it would be a great beginner quilt project. On top of that, this pattern makes 2 quilts from 1 jelly roll. If it's 2 for 1, sign me up! I chose to make my quilt with Lexington by Minnick and Simpson. or low volume, inside voices as some call them. I'm a HUGE fan of the low volume trend. As you can see, when I was picking my fabric, a paw happened to get in my way! and started putting blocks on my design wall. Then he got after my design wall! Anyhow, this is my first quilt top. It took about 2 1/2 hours to sew. I was going slow due to cat issues and watching Netflix. You probably sew it faster if you tried. There is a video that shows the basics of the pattern. 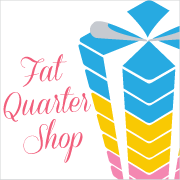 I am loving how the Fat Quarter Shop puts up so many YouTube videos. My top finished at 36 1/2" x 38 1/2". with just blue and tan prints. Would you applique on it? I'm not sure if you have heard but Sherri from This and That is hosting a sew along. 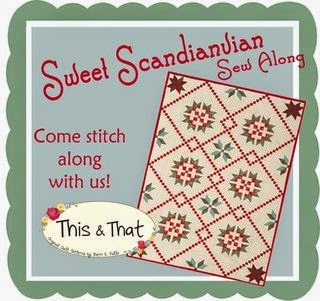 The Sweet Scandi Sew Along actually. 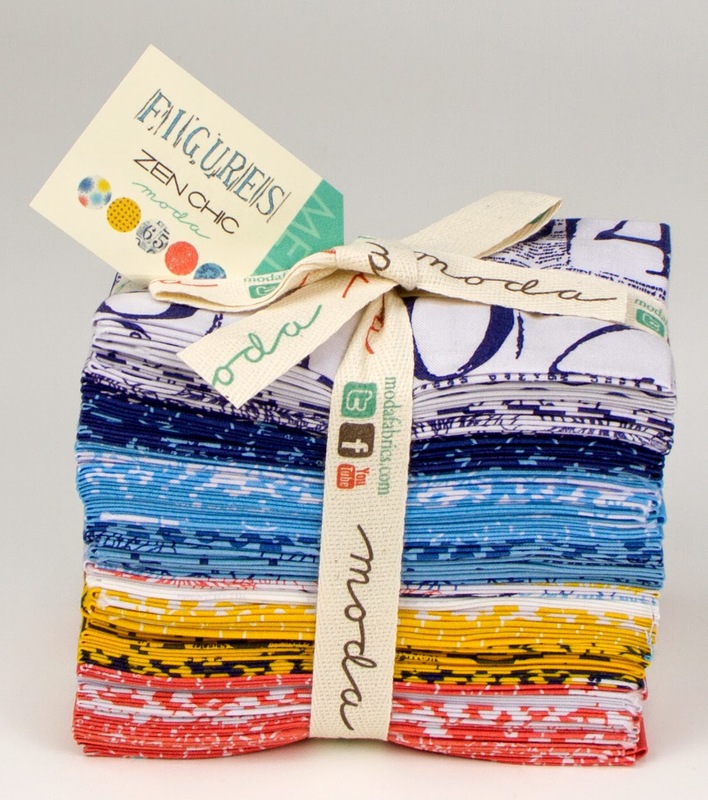 Sherri has already blogged about the fabric that you need and how to make one set of blocks. 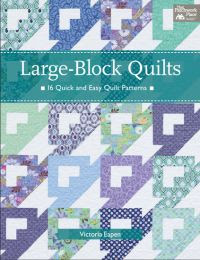 Last week, Sherri of a Quilting Life demo'd the next set of large main blocks. 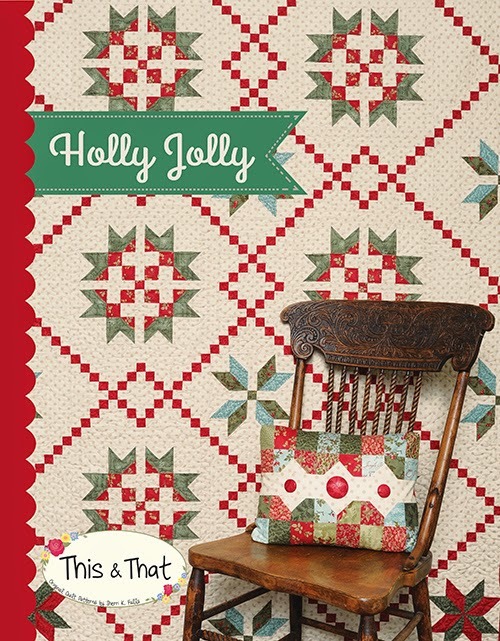 Holly Jolly is the book we are using. Today, I am happy to show you the corner star blocks. you will need to make 16 flying geese. I like to sew multiple units like these in a chain. It seems to save thread and time. Then I press all the units and pin and sew again and so forth. One tool I found quite useful for the flying geese was the Flying Geese Bloc-Loc ruler. I used it to trim any excess fabric 'wings'. Next you add solid corner squares to 8 of your flying geese. your star will not turn out correctly. Next you should make the half square triangle units for the center of the block. and start assembling the block. There are very detailed instructions in Sherri's book. I had absolutely no trouble making the units. Now that the corner units are finished. for the Susan G. Koman Foundation. All procedes will go towards breast cancer research. and the rest are yet to come! I sincerely hope you join in. 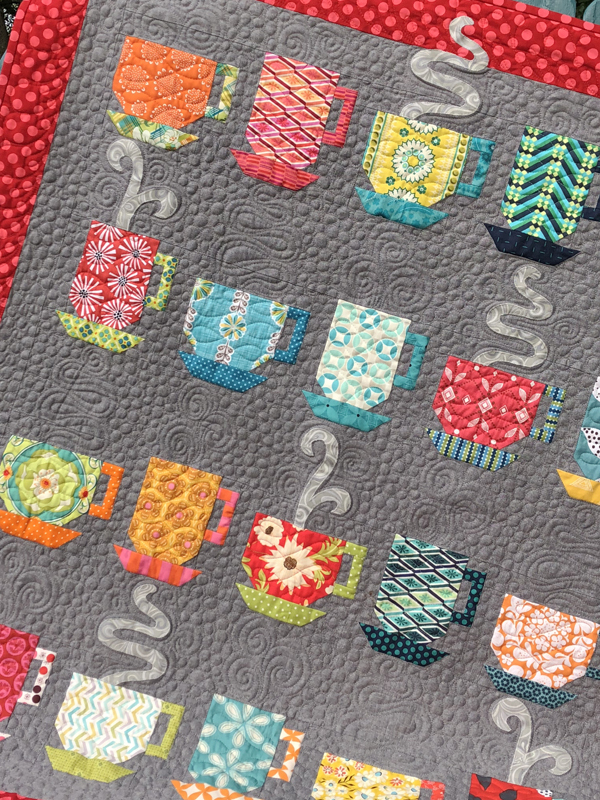 Fat quarter fizz quilt designed by the Fat Quarter Shop is a super amazing easy quilt! I have always wanted a Halloween quilt. So I picked a bundle of Eerie by Basic Grey and started sewing. I had a fun time choosing the placement of the fabrics and balancing the lights and darks. how to cut the fat quarters, color placement and quilt sample ideas. The free pattern can be found here! When I began this quilt, I thought I would have plenty of time to quilt and bind it. Turns out life doesn't always turn out as you plan. I have some unpacking to do first. I have been sewing kind of a bunch lately. Interestingly, the more turmoil, the more sewing I have been doing. Anyhow, the fat quarter shop sent this really simple pattern for me to try. Well with a 7 year old AND a 13 year old...it was an immediate hit before I even started!! In case you want to make one, the pattern is available for free from the Fat Quarter Shop. new bedrooms and new color paint! I used that as my inspiration for my first nail polish quilt. I think it will be awesome on her new wall. Now you might be asking how long it took to make it? Well cutting the pieces took longer than sewing. Total for the top was about an hour. There is even a video on the steps to piece it. It's only 13" x 18" or so. The quilting took my about 2 hours (.machine binding included.). I chose a light grey that appears metallic....as nail polish can appear at different angles. that will be on hold for awhile here. Just wondering, would you make a nail polish quilt? 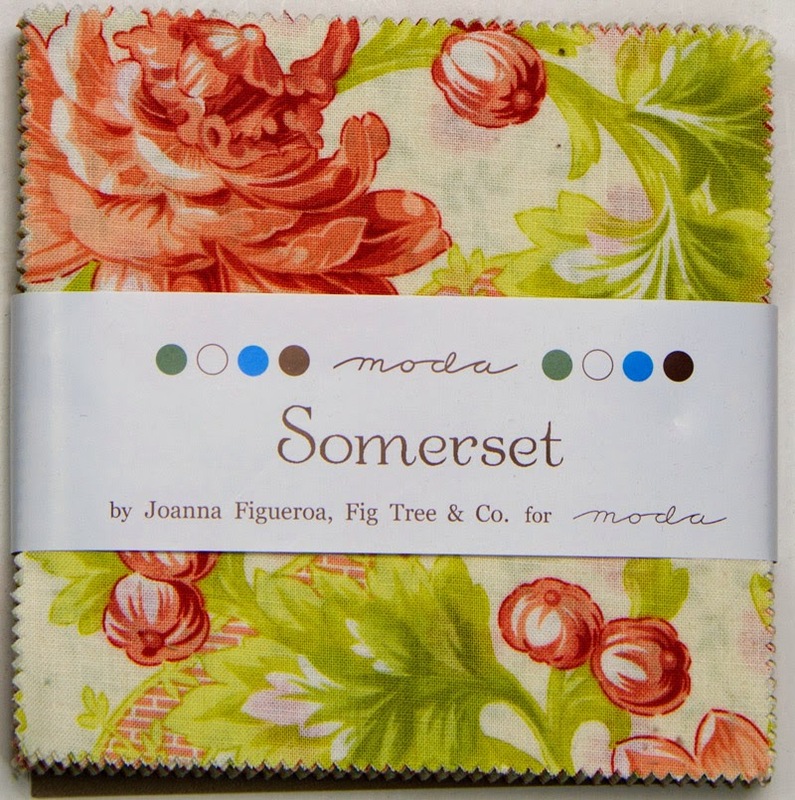 in my etsy shop including new Moda precuts and Cotton and Steel. Sale is now through August 6 at midnight eastern time. Does not apply to previous purchases. 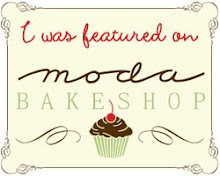 My shop will be on vacation from August 6 to August 15. Hope you can find some deals today!